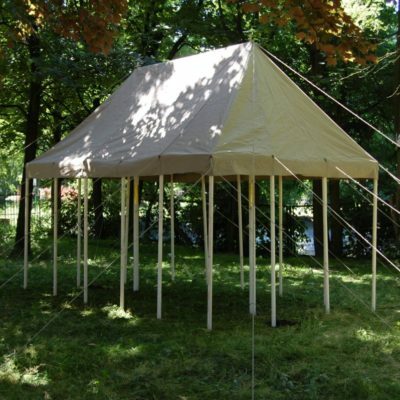 Rectangular doublemast pavilions are historical tents with huge living space 22-35 m2 which can hold not only a big number of beds, but also pieces of furniture and other camp equipment. 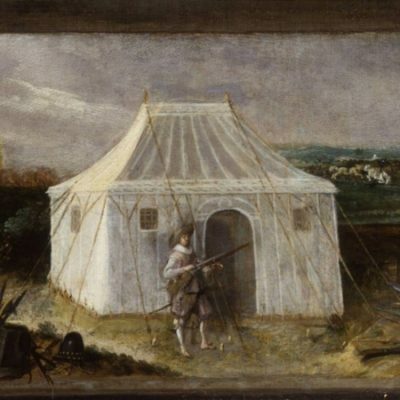 Sources show rectangular doublemast pavilions as richly ornamented tents for wealthy characters from the top of the social ladder. 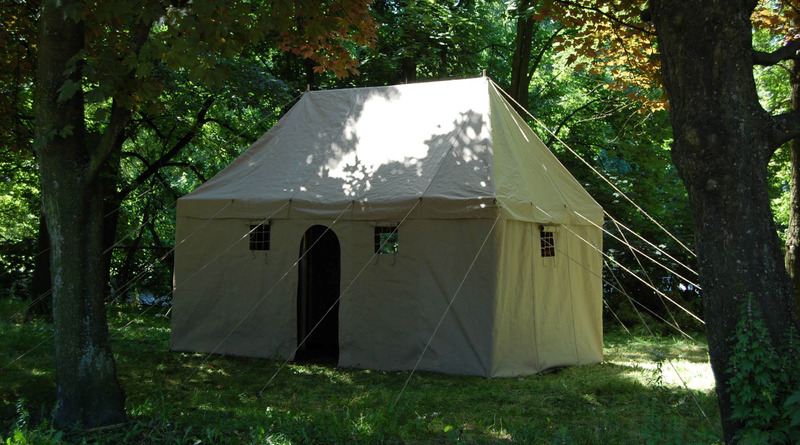 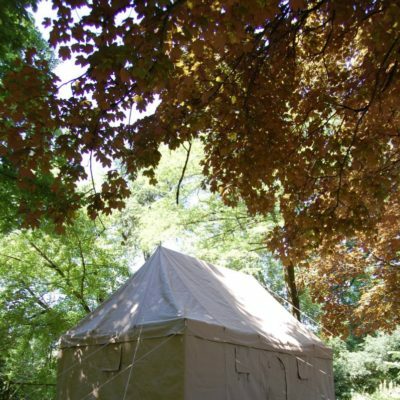 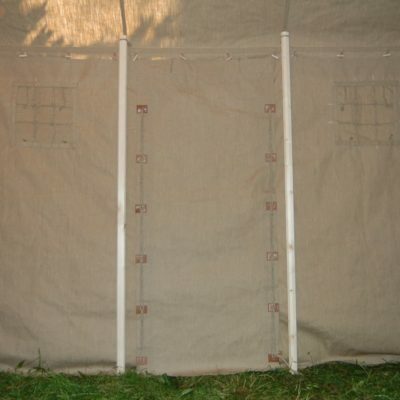 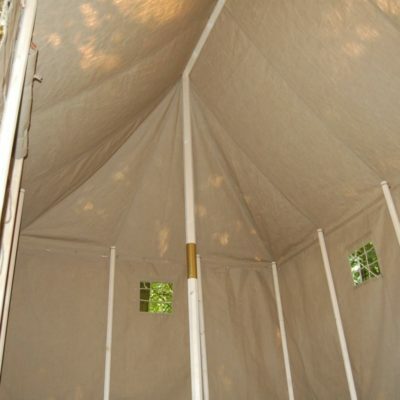 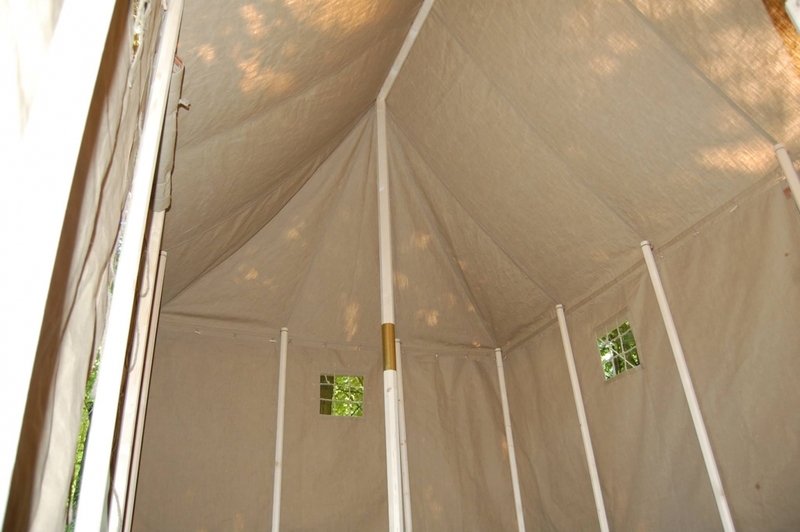 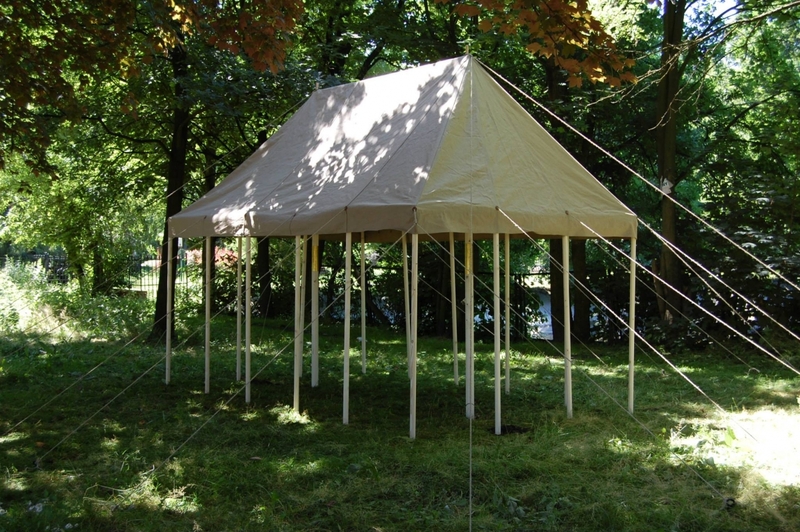 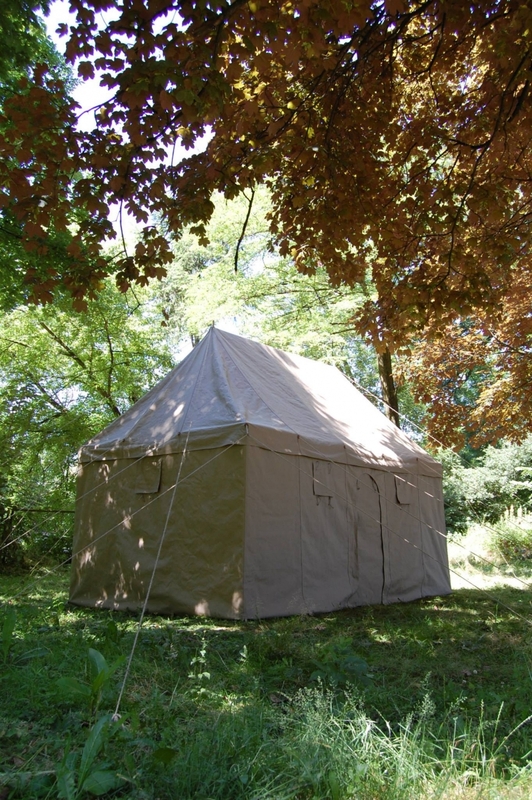 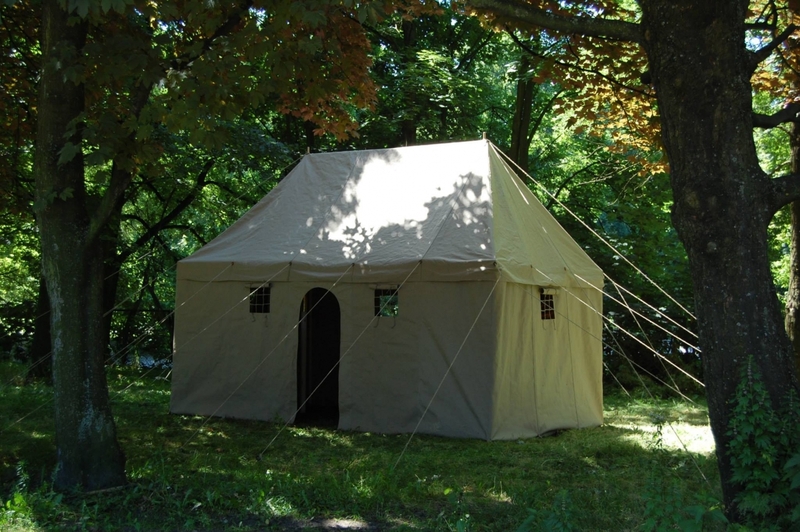 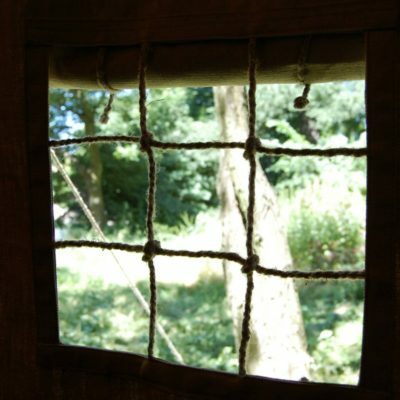 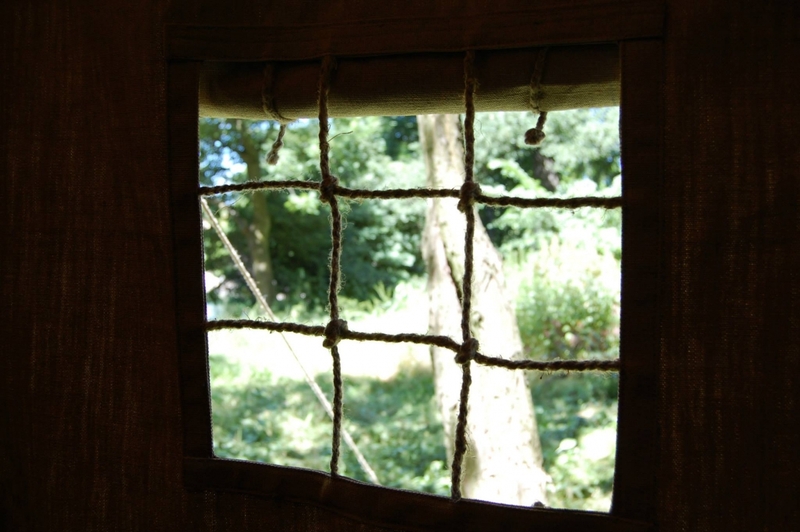 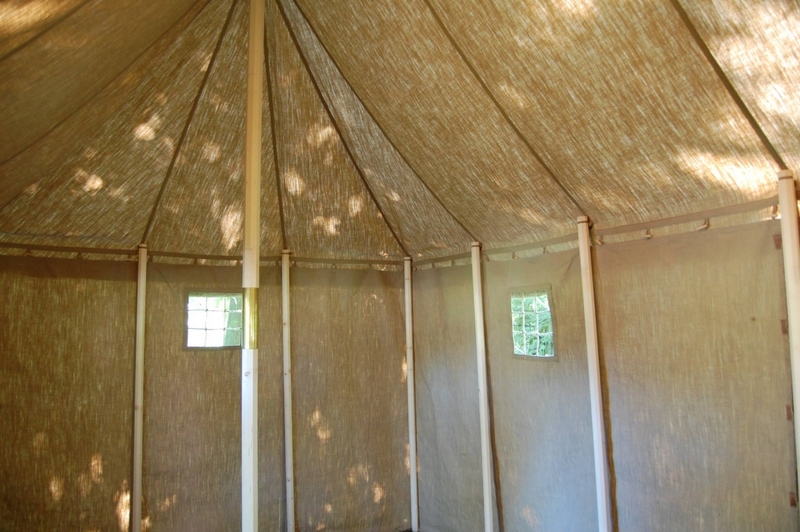 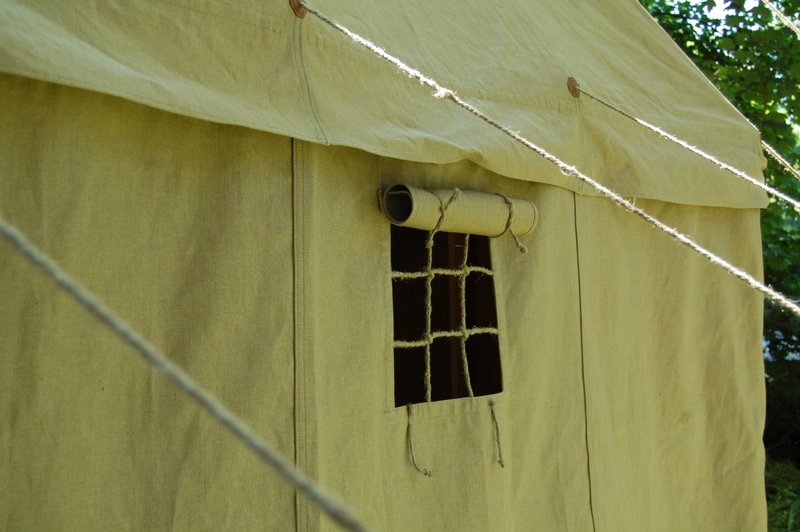 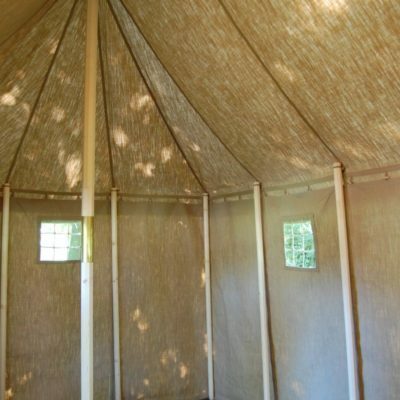 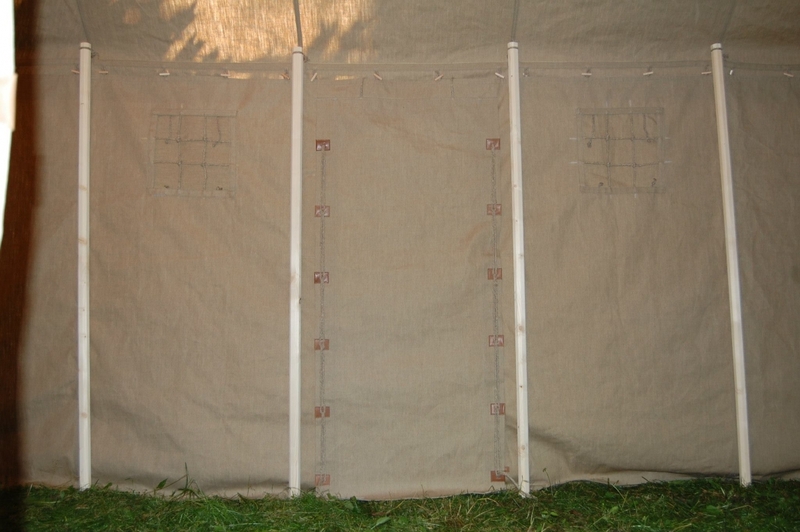 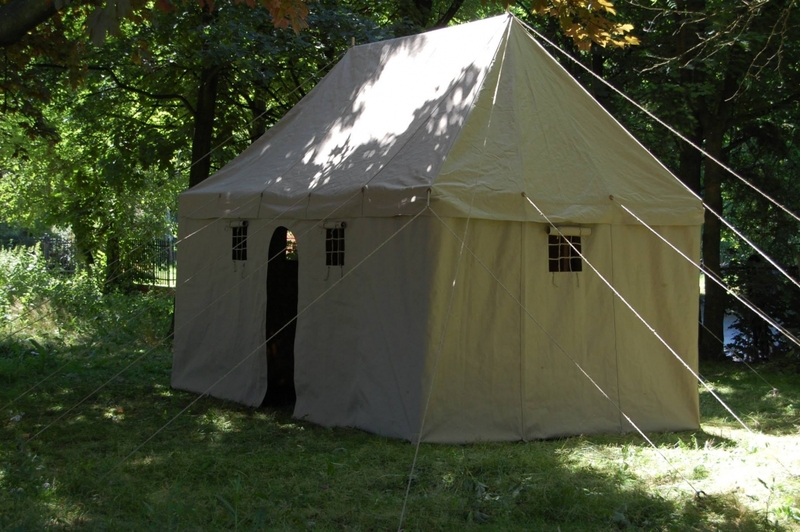 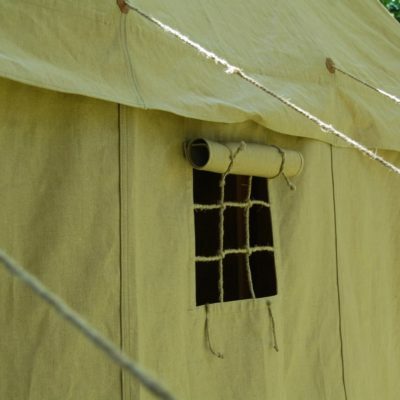 This historical tent is mechanically made of bleached and impregnated linen. 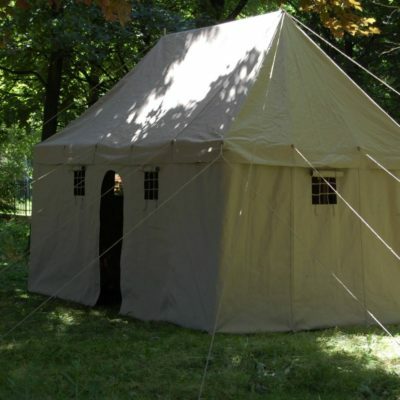 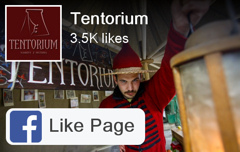 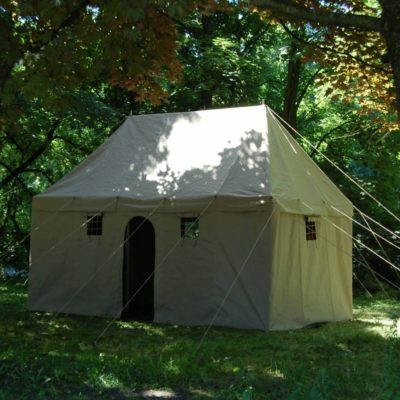 This historical tent is for 6-10 people.